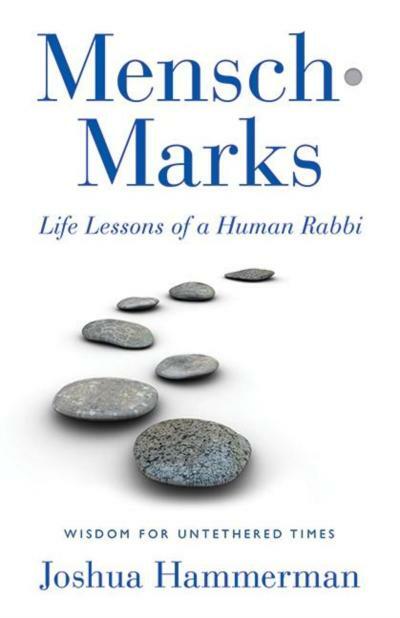 I've had the honor of being included among dozens of rabbis, educators and other Jewish leaders who have contributed to the new book "Text Messages: A Torah Commentary for Teens," being released this week by Jewish Lights. It so happens that this week's portion of Bamidbar, is the one that I wrote about. Nice timing! With permission of Jewish Lights, I share it with you here. “Who knows one? I know one!” we sing at the Passover Seder— the same event that boasts four cups, four children, four questions, three matzot, and ten plagues. Come to think of it, Jews are obsessed with numbers. We even have an entire book of the Torah called Numbers, though in Hebrew it has an entirely different name—Bemidbar, “in the wilderness,” which is also the name of this Torah portion. Bemidbar contains a count of the Israelites. It is very rare for the Bible to contain a census, or count, and Jews have always been a little nervous about such counts. But wait: how could a tradition so obsessed with numbers be so afraid of counting people? Here’s the answer. We don’t want to turn people into numbers. Yes, that practice probably seems superstitious, but what is it really saying to us? It is saying something very big and very valuable: a human being is more than the sum of his or her parts. We can’t be reduced to merely our statistics: our age, our phone number, our Social Security number. We are more than all of that. We can learn this, terribly, from the Nazis. When the Nazis wanted to totally dehumanize someone, what did they do? They assigned him or her a number, and they tattooed that number on the person’s arm. After all, if you can reduce an entire life to a number, then it makes it that much easier to erase that entire life. As someone who loves sports, I look closely at statistics, but I know that while a player’s stats can be impressive, they never tell the whole story. A basketball player’s scoring averaging doesn't tell us whether he can block out, set picks, or make a perfect pass. For me, the number “twelve” will always remind me of my favorite quarterback, Tom Brady, and “fifty-six” is Joe DiMaggio’s hitting streak, but we cannot measure the accomplishments of these players in numbers alone. When we rate someone’s looks numerically (“She’s a ten!”), it may be flattering, but we have just turned that person into an object. We live in a digital age. After all, when you really think about it, what are all of those photos on our computers, or the streaming music, or the text messages, or the Skype chats, or the Google searches? They are all based on computer language, and computer language is nothing more or less than infinite combinations of ones and zeros. There can be something very powerful—even sacred—about the relationships and connections that we forge online in that virtual world. But the Torah suggests that from time to time, we step back from the virtual to the real, the world of infinitely complex and infinitely beautiful human beings created in God’s image. We are more than our numbers. A Great Day for Israel?